Medi-Bee UMF 10+ Active Manuka Honey has a very good reputation for its consistent high quality and this 10+ certified honey is a very pure honey. 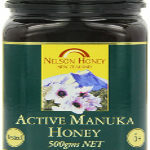 Enjoy the strong and aromatic taste of manuka honey. Nelson Honey is a medium-sized family business with four generations of beekeepers who produce a distinctive creamed manuka honey in New Zealand's South Island. 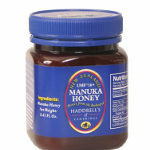 Manukora Manuka Honey UMF 20+ is a serious manuka honey! UMF certified and a very pure and rarity among manuka honey, which also comes in a larger size. A very pure manuka honey that has been independently verified by a lab. A highly delicious honey produced by Steens - an innovative and leader in manuka production. If you are looking for a very pure manuka honey then Steens UMF 24+ Raw Manuka Honey is for you. UMF 24+ manuka honey has an MGO level of a whopping 1122+. Serious manuka honey!